land where an excess of water (i.e. waterlogging) is the dominant factor determining the nature of the soil development and the types of plants and animals living at the soil surface. lands that are sometimes or always covered by shallow water or have saturated soils, and where plants adapted for life in wet conditions usually grow. 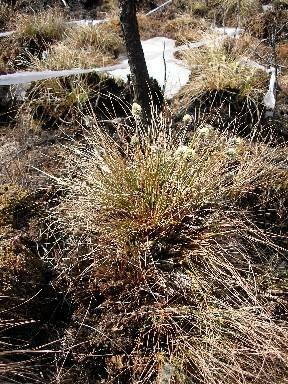 Very acid conditions with limited woody growth, dominated by Sphagnum; conditions may be dry to plants because the peat mat prevents roots from reaching water; they root in the peat and get nutrients from rainwater. Typical associations in Washington State: Sphagnum/Vaccinium oxycoccos; Ledum groenlandicum/Sphagnum; Sphagnum-Carex spp. A fen is a peatland influenced by flowing surface water and/or discharged groundwater. The water moving through fens comes in contact with mineral soil creating a more nutrient rich environment than bogs. Fens vary in wetness and species diversity, with wetter fens being richer. Marshes are often a transition zone between open water and shorelines of lakes and river systems. They are shallow wetlands with water levels that fluctuate seasonally. Marshes receive water from precipitation, groundwater, and stream inflow. Swamps are often a transition between upland forest and other wetland types. They are normally associated with river floodplains, lakes, and ponds. Swamps are typically dominated by tall trees and shrubs, with densities greater than 60%. They can occur in either mineral or organic soil. Table 2. 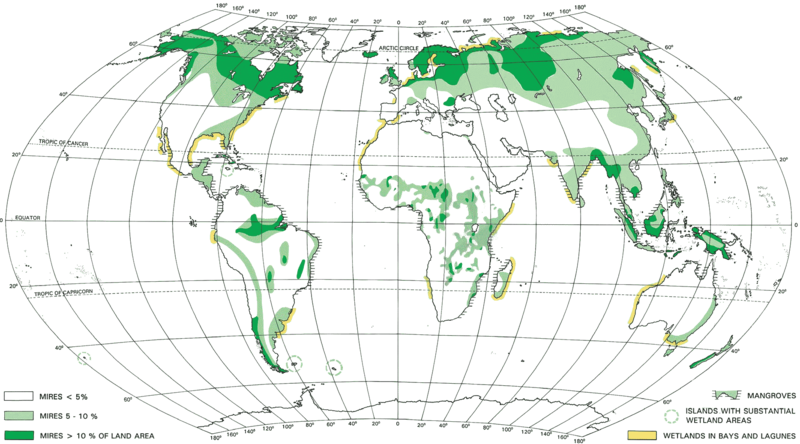 The area of peatlands and amount of peat deposit in the respective regions I to VI. The values are determined by references and field measurements. The area is defined as peat > 0.3 m in depth. The amount is expressed by dry weight. Table 3. Main ecological properties of mires in China. > 50 < 0.1 0.05-0.15 Carex spp. logged peatmire in scattered hills Lump 0.2-0.3 10-30 0.1-0.4 0.0-0.1 Kobresia spp. The US Fish & Wildlife Service has a comprehensive classification system useful for wetlands. The environment of coastal estuaries (Estuarine system), including river deltas, and bays is dominated by tidal fluctuations. This factor and its correlates, such as fluctuating salinity,poor aeration, wave action, and twice daily cycles of submergence and exposure, produce vegetation types characterized by relatively few species. Coastal marshes are highly productive. Higher intertidal, usually with some fresh water influence, especially in river deltas. Inundated nearly every day. Typical associations: Scirpus maritimum; Carex lyngbey; Calydistichlis spicata; Jaumea carnosa-Disp; Disp-Salicornia virginica; Savi. Upper marshes, where daily inundation is less than a daily occurrence. Typical associations: Agrostis alba-Festuca rubra; Agal-Carex lyngbyei; Caly-Distichlis spicata; Disp-Salicornia virginica; Potentilla pacifica-graminoids. Table. Common species in a vertical gradient. Inland wetland vegetation is generally associated with rivers (riparian), lakes (lacustrine), or other wetlands not directly influenced by lakes or rivers (palustrine). 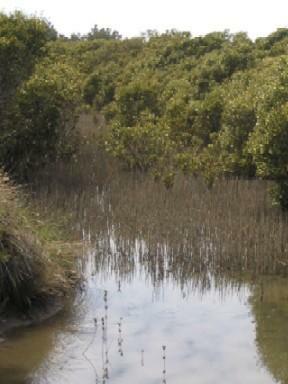 Riverine vegetation is usually unstable and dominated by elements of the forested wetlands described below. Usually associated with lakes (lacustine), or areas of limited drainage (palustrine). Typical Lacustrine Associations: Deep: Nuphar-Nymphaea; Scirpus acutus; Shallow: Typha latifolia; Phalaris arundinacea; Phragmites communis; Tyla-Lythrum salicaria; Carex obnupta (plus various graminoids-dominated associations); Phar-Iris pseudacorus; Tyla-Scirpus microcarpus. Palustrine systems are nontidal wetlands dominated by woody vegetation or persistent emergents. They include marshes, swamps, ponds (not lakes) and bogs. They can be located shoreward of lakes and rivers, on flood plains, or in isolated catchment basins. The trail starts behind the MOHAI and traverses through several wetland associations. Characterize each association, based on the US Fish and Wildlife system (e.g., palustrine forested wetland). Associated with lakes (lacustine) or wet depressions and bogs (palustrine). Several species from shallow marsh, plus various grasses, sedges, and rushes. Often border on persistent emergent wetlands. Associated with seasonally or permanently flooded low-lying terrain, usually part of a stream drainage or swamp system. It differs from forested wetlands in being dominated by shrub species or by young tree species, especially alder. Typical associations in Washington State: Spiraea douglasii; Acer circinatum/Athyrium filix-femina; Cornus stolonifera-Acci; Alnus rubra-Salix spp. ; Rhamnus purshiana-Salix spp. ; Salix spp. ; Rubus spectabilis (seral); Rubus discolor (seral). Associated with seasonally or permanently flooded terrain, sometimes riparian or lacustrine, but often simply in poorly drained areas. Typical associations in Washington State: Fraxinus oregana/Athyrium filix-femina; Thujaplicata/ Lysichitum americanum; Alnus rubra/Acer circinatum; Populus trichocarpa-Acer macrophyllum; Populus tremuloides/Salix spp. Mangrove is one of the saltwater (s.l.) biomes (バイオーム) with rich fauna. Mangrove forests replace salt marsh in tropical and subtropical regions. Close-up showing a single tussock in decayed stage. A conony of tussocks. You may be able to see 'facititative effects' of tussocks on cohabitants'. [1/2] On the mountainside of Mount Ruapehu, New Zealand, on December 17, 1996. 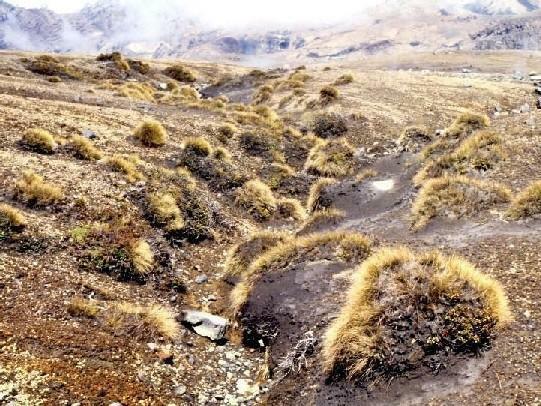 In Tongariro National Park, a few types of tussocks were classified: Chionochloa rubra Zotov [Poaceae] = red tussock, Festuca novae-zelandiae [Syn. Festuca ovina var. novae-zelandiae] (and Festuca matthewsii) = hard tussock (and silver tussock), and Rytidosperma setifolium = bristle tussock. Carex oxyandra on Mount Usu. 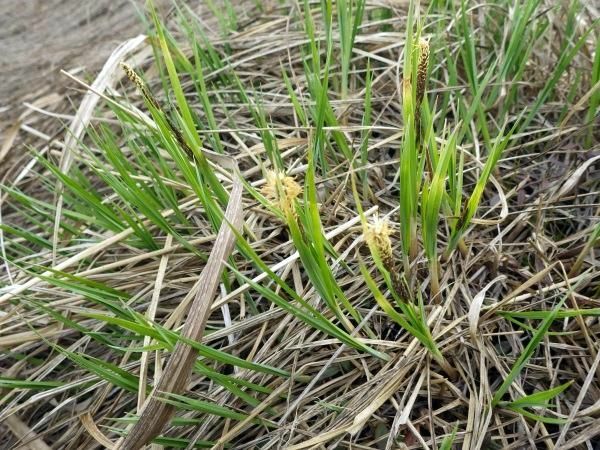 Carex middendorffii on a post-mined Sarobtetsu mire (Koyama & Tsuyuzaki 2010). 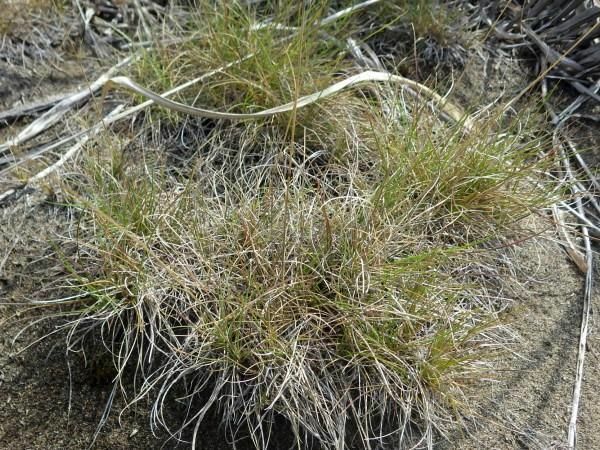 The tussocks facilitate the establishment of seedling by altering microhabitats (Koyama & Tsuyuzaki 2012). However, the facilitative effects were eliminated when the climate was unusual (Koyama & Tsuyuzaki 2013). 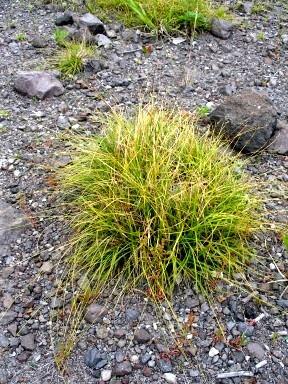 tussock formed by Festuca rubra. Basically this species establishes on dry sites. 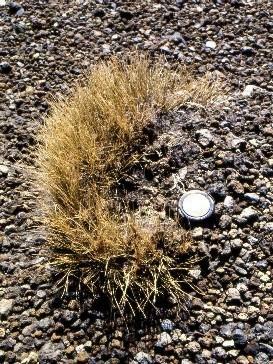 a Eriophorum vaginatum tussock on Poker Flat after the 2004 wildfire. The tussock suvivied through the fire and vegetatively reproduced (Tsuyuzaki et al. 2013). Carex meyeriana tussock increased species richness on the top (Tsuyuzaki & Tsujii 1992).